Yelloh! Village Les Vikings is a campsite with 70 touring pitches and 60 year round pitches. During low season, between 08-04-2019 - 29-05-2019, 02-06-2019 - 08-06-2019, 11-06-2019 - 01-07-2019 and 01-09-2019 - 08-09-2019, the nightly rate is €18,- at one of the 70 touring pitches at Yelloh! Village Les Vikings in Saint-Jean-de-la-Rivière (Manche). At this campsite you can not only use your CampingCard ACSI for inexpensive camping, you can also use your ACSI Club ID (as an alternative ID). Yelloh! 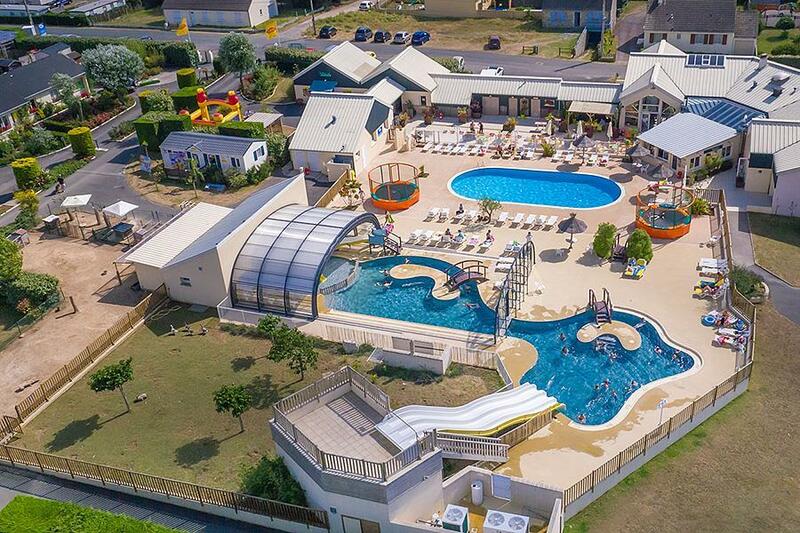 Village Les Vikings is located 400 metre from the sea with a wonderful sandy beach in a natural setting across the sea from Jersey. Plenty of cycling possibilities from here: the picturesque harbour towns of Portbail and Carteret for example. The campsite has a leisure pool with a heated indoor pool and an excellent restaurant. Would you like to book Yelloh! Village Les Vikings or request more information? You can do both using the information below. From Barneville-Carteret, direction Barneville. Signposted further on. CampingCard ACSI will send your information request to "Yelloh! Village Les Vikings".